The folks at Boat Owners Association of The United States just sent us a disturbing story about a boat explosion at a dock that resulted in the death of a 25-year old woman, and hospitalized four others that were onboard as well as the dock attendant. The accident happened while the recently purchased used boat was being refueled by its new owner for the first time. 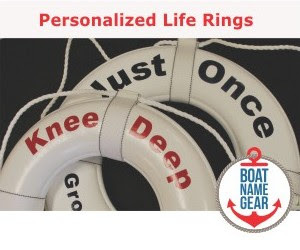 BoatUS says a simple sniff test may have prevented this particular tragedy, and they sent us six tips for safely refueling your vessel that every boater should practice. 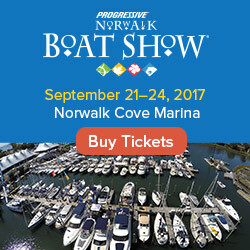 Unlike a car, boats have fuel tanks and engines located in enclosed spaces which often don't allow gasoline vapors to escape. Lifting the engine compartment hatch in an attempt to smell any lingering gasoline fumes is one of the best ways to make sure the blower is doing its job. 1. Always remove passengers from the boat, and reboard only after refueling is complete and the engine(s) restarted. 2. Engine should be turned off and do not operate any electrical switches, including the ignition. 3. Keep all doors, ports and hatches closed, and only open them when refueling is complete. 4. To prevent unintentional sparking, hold hose nozzle firmly against fuel fill (and not a rod holder, water tank fill or holding tank, which happens more often than you think). Also don't overfill. 5. After refueling, ensure engine compartment blower runs for at least four minutes. This may delay others waiting to fill up, but it's worth the wait. 6. A quick sniff test takes only a few seconds and is the most effective method for detecting fuel leaks. Always open the engine bay hatch (if boat is equipped) and smell the bilge area as well as any closed compartments or interior spaces. 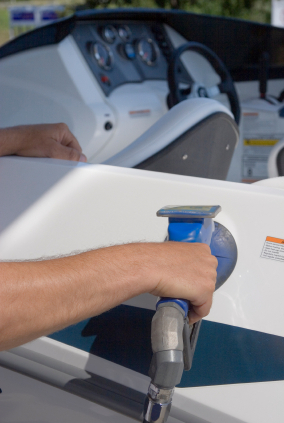 For more information on safe refueling, visit www.BoatUS.com/foundation/refuel as well as several articles related to fueling on the Daily Boater.